Home Personal Finance Banking GN, Sahel and Premium banks to merge? GN, Sahel and Premium banks to merge? Citi Business News has gathered three local banks Premium, GN and Sahel Sahara banks have agreed to merge. The move follows the Bank of Ghana’s directive for all banks to meet the minimum capital requirement of 400 million cedis this year (2018). Citi Business News has learnt the three banks commenced merger talks this year and finalized the deal this month- July 2018. The deal is however yet to be approved by the central bank which has received the banks proposal to merge. If approved by the central bank, it will be the first merger which will be undertaken by local banks as part of moves to meet the minimum capital bank. Sources close to the discussions have told Citi Business News a name and logo and other branding related issues will also be finalized after the central bank’s approval of the deal. Also who takes over as the MD of the three entities as well as other top management positions will also be finalized after regulatory approval. It is expected that some of the workers will be laid off as the new entity tries to avoid duplication of roles. Premium bank prior to gaining banking status was a Finance house, under the name City Investments Company Limited. It got the regulatory approval from the central bank to operate as a bank in the second quarter of 2016 and begun operations as a bank proper in the fourth quarter of 2016. Its majority shareholder is the Vanguard group. According to the bank’s financial statement for December 2017 its profit before tax was a little over 12 million cedis, while its profit for the period was almost 12 million cedis. The bank’s assets sum up to about 1.3 billion cedis while it liabilities sum up to about 1.2 billion cedis for the period. The bank is headed by Mr. Kwasi Tumi a Chartered Accountant. Sahel Sahara is a subsidiary of the Group, BSIC (Ghana) Limited. Sahel commenced operations in Ghana as a universal bank, on March 25, 2008. The Bank currently has 17 branches in 6 regions. Its parent company BSIC is a financial institution created by the community of the Sahel Sahara States, otherwise known as (CEN-SAD). CEN-SAD is made up of 28 countries including; Libya, Sudan, Benin, Burkina Faso, Central African Republic, Cote d’Ivoire, Gambia, Ghana, Guinea, Mali, Niger, Senegal, Chad and Togo where BSIC currently has affiliates. The bank’s profit before tax for December 2017 was about 7.8 million cedis a drop from the 10.3 million cedis recorded the year before. GN Bank was incorporated on May 30, 1997. GN bank is owned by Dr. Papa Kwesi Nduom a business man and politician. The bank’s CEO is Mr. Issah Adam. The bank has over 298 branches across the country. 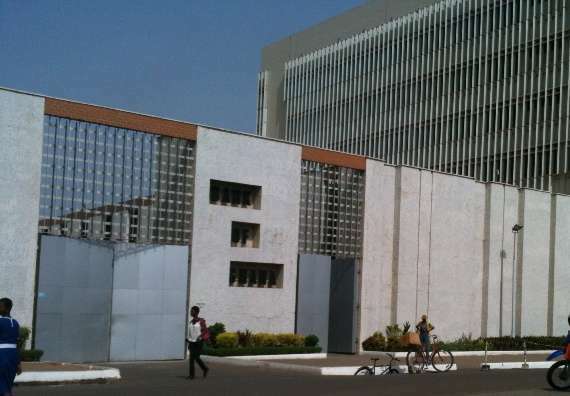 In April this year – 2018, the President, Nana Addo Dankwa Akufo Addo, met some Managing Directors and Chief Executive Officers of local banks in the country to discuss the request for an extension in the deadline date of the minimum capital requirement for indigenous banks. The local banks appealed for an extension of the timeline in meeting the minimum capital requirement from one year to four years.